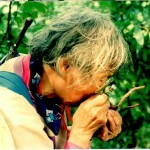 Professor Shiu-Ying Hu is a botanist of great international renown. A native of Xuzhou in Jiangsu Province, she took her first degree at the Ginling College in Nanjing and then the Master of Science at Lingnan University under the supervision of Prof F.A. McClure. In 1946 she went to Harvard to further her studies under the supervision of Prof E.D. Merrell, being the first Chinese woman to be a doctoral student at that University on a scholarship from Radcliff College. She took her PhD in 1949 and stayed on at Harvard for further research. In 1968 she joined the Chinese University as a senior lecturer in Biology, and has since been an Honorary Senior Research Fellow of the Department of Biology, and a Senior College Tutor of Chung Chi College. 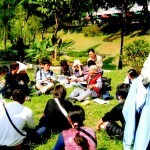 In 1999 she was appointed an Honorary Professor of Chinese Medicine at the Chinese University. Professor Hu is recognized all over the world as an authority on Ilex, Hemerocaulis, Paulonnia, Compositae and Orchidaceae, and her research on the holly family is particularly well known. Among the over 400 known species of the holly plant in the world, many have been named by Professor Hu herself. Having devoted a lifetime’s career to research on plant taxonomy, Professor Hu has over 160 academic treatises and 185,000 specimens to her credit, and has, in process, earned herself the accolade of being a walking herbarium. In 1948, Professor Hu sent the seeds of Metasequoia to over 200 botanical gardens the world over, with the intention of transferring them to foreign soils. Half a century later the Metasequoia is luxuriant in the Boston Public Garden, full of ancient wisdom and renewed vitality. The lustrous Metasequoia has inspired the famous composer John Williams to write his Tree Song, a paean to the renascence of a palaeobotanical wonder from China, and at the same time a homage to an outstanding scholar for all she has done in saving species on the verge of extinction. 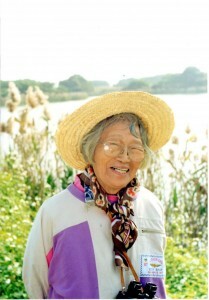 Professor Hu stayed on at Harvard for about half a century after obtaining her PhD. These years were spent in intensive research at the Arnold Arboretum, one of the three largest institutions of its kind in the world. The Arboretum houses over 1 million specimens of Chinese plants and these were, to Professor Hu, an inexhaustible treasure of research opportunities and interests. In the 1950’s, she started the Flora of China project, and completed the volume on Malvaceae, as well as the subsequent series on the Compositae and the Orchidaceae of China. In 1968 she accepted an invitation from the Chinese University to take up a teaching position at Chung Chi College, and while in Hong Kong she devoted all her leisure to collecting plant specimens from various parts of the territory. She also set up the first herbarium at the University for teaching and research. Over the years she has collected over 30,000 sets of specimens of Hong Kong plants. All the specimens have been verified at Arnold Arboretum of Harvard University. 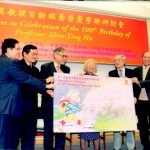 Many research projects in Hong Kong and Mainland universities have owed much to the pioneering efforts of Professor Hu. Professor Hu has also played a significant part in the development of research and teaching facilities on traditional Chinese medicine at this University. 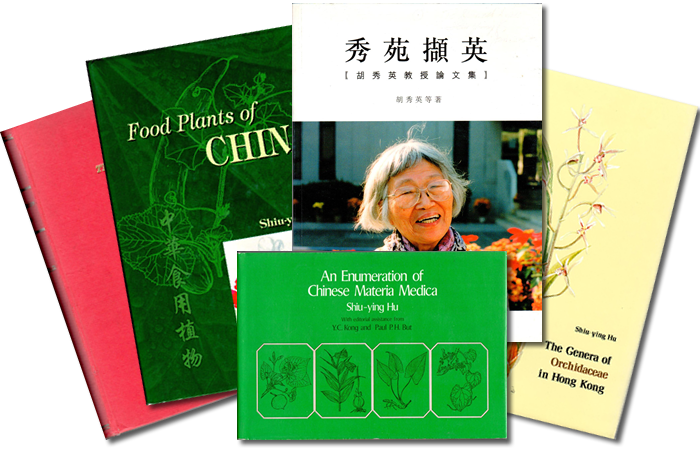 She was a strong advocate for the Chinese Medicinal Material Research Centre in the 1970s, and was instrumental in the establishment of the School of Chinese Medicine. Professor Hu has an indefatigable and tireless approach towards research and, at an age approaching 100, is still in excellent spirit and health. She continues to apply herself vigorously to research and writing projects, and her age has not held her back from frequent travelling to Europe and America for lectures and academic conferences. Maybe it is because of her long association with Nature, where heaven and earth have imbued her with the most benevolent of celestial and terrestrial influences. Hence age has not daunted her, and she continues to crown her illustrious career with new achievements. All through her life Professor Hu has distinguished herself by exploring untrodden paths and uncharted terrains, and her exemplary efforts are greatly admired throughout the academic world. Professor Hu is not only a renowned scholar and a much loved teacher, but also a mentor of great kindness and compassion to her students, being known for the many generous donations she has made in aid of scholars in need. In 2001 she featured in the Outstanding Chinese Series produced by Radio Television Hong Kong, in which an account of her life was presented for the edification of younger generations of scholars. In the same year, the government of the Hong Kong Special Administrative Region awarded Professor Hu with the Bronze Bauhinia Star. In 2002, she was conferred honorary fellowship by the Chinese University of Hong Kong. Professor Hu also received the Outstanding Women Professionals Award from Hong Kong Women Professional and Entrepreneurs Association and the Leader of the Year Award in the education / academic category from Sing Tao Newspaper Group.